ASTA’s logo reveals the use of a brand mark or symbol which is derived from the first letter of the Greek alphabet ‘alpha’ α. It is a synonym for “beginning”, or “first”. Incidentally, this symbol is also denoted as the letter ‘A’ in the English alphabet which becomes the first letter for the acronym of the company name. This signifies a new beginning in search of fresh ideas for innovation. 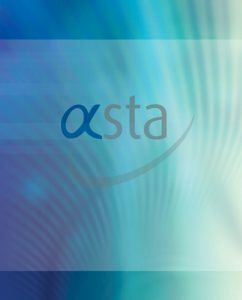 The arc that supports the symbol represents ‘vibrancy’ and ‘progressiveness’, which are values ASTA embraces in the quality of its training services. A brandline ‘educate, equip, empower’ is crafted to echo three pillars of brand promise that the company aims to deliver: to educate and train individuals or companies to conduct special processes of the aerospace industry effectively, so that they are equipped with the most updated skills, information and resources, to empower and improve productivity of business operations in both the short and long term.